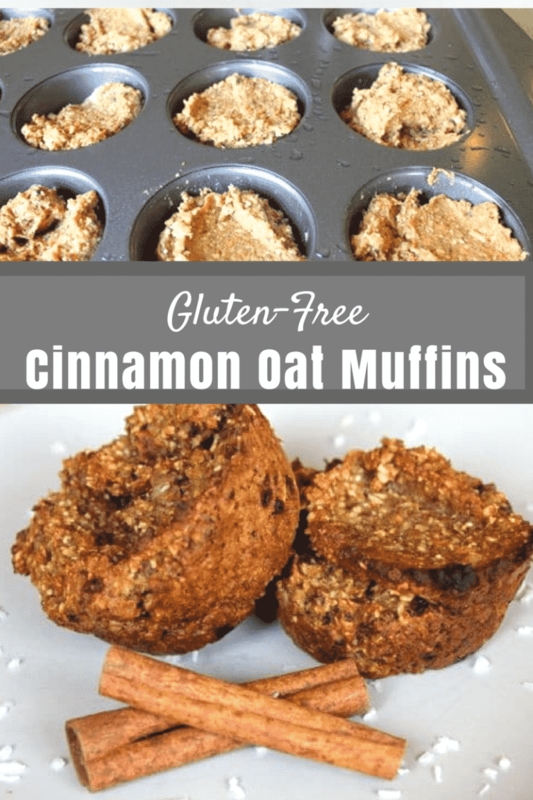 These Cinnamon Muffins are gluten-free and vegan, and are a perfect healthy treat for kids. I couldn’t help but health-ify (is that a word?) these muffins by adding some broccoli slaw into the mix. I buy broccoli slaw at Trader Joe’s, but it is just grated broccoli stems and carrots. You could substitute grated zucchini, too. I also got all crazy and added some garbanzo beans to the batter, too. I promise you can’t taste the veggies in the muffins! I sprayed my muffin tin with some coconut oil to prevent sticking, but other than that, these muffins are 100% oil-free. 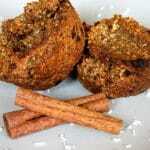 I sweetened them with raisins, applesauce and date sugar which is just dried, ground dates. I baked them at 375 degrees for 30 minutes and they turned out better than I ever could have imagined! Preheat the oven to 375 degrees and lightly spray a muffin tin with cooking spray or coconut oil. Place the oats in a food processor and process until ground into a flour. Add raisins, flax meal, cinnamon, baking powder and date sugar to the oat flour and process for 30 seconds or until the ingredients are mixed well with the flour. Add the wet ingredients including the vanilla extract, broccoli slaw, applesauce, and unsweetened non-dairy milk to the food processor and pulse together until combined. 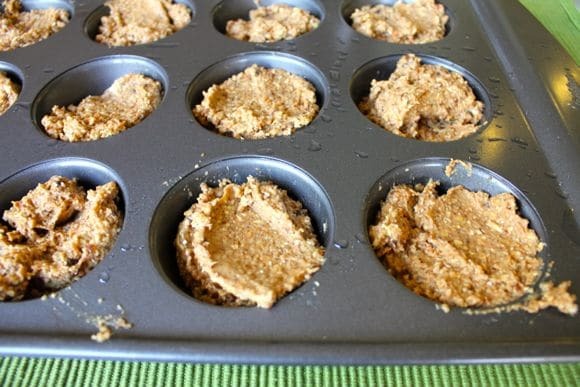 Using a spoon, place about 2-3 tablespoons of the batter into a lightly sprayed muffin tin. Bake the muffins at 375 degrees for 25-30 minutes. I think when I make the next batch of these muffins, I might even leave out the date sugar to see if they are sweet enough without it. If you try it that way, please let me know what you think. Great idea to add broccoli! I’ve added spinach before but that’s as wild as I’ve gotten. I made the Dr. F. zucchini bread and put it into muffin cups. Similar process and quite tasty. Though it didn’t use the beans. I will have to try your recipe and see how it compares. And don’t worry about LASIK surgery. I had it done about 13 or 14 years ago. Best $$ I spent on myself. Just now (I’m waaaay over 40) am I starting to use reading glasses. So convenient to not have to wear glasses or contacts. Do it! You won’t regret it! Hi Jan! I am soooo excited to get rid of my contacts and glasses. I realized just recently how vulnerable I am not being able to see and I am really anxious to do the LASIK. LASIK was the best $4K investment that I have ever made. I don’t regret one moment of it. 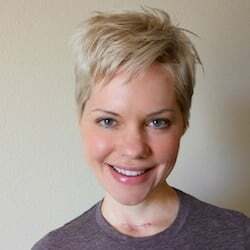 Since my surgery in January 2008, I have had no issues whatsoever. Thanks for the info on the LASIK, Jonathan! 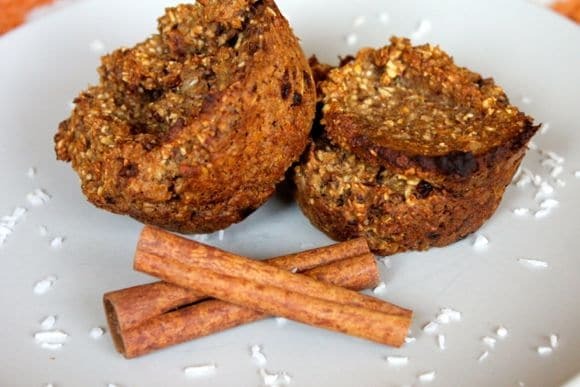 The muffins look yummy and dense – just the way I like it! I’m wondering if you can use just dates pulsed in the food processor instead of the date sugar to sweeten? Instead of applesauce I may try mashed banana. Eye surgery would freak me out too, though I have heard say it was so worth it. Thanks, Lisa! I think a ripe banana would be fine instead of the applesauce, you just might need a little extra liquid to thin out the batter. Let me know how they turn out! I don’t eat baked goods much these days, either, but if I were, this would be right up my alley! I made a curried squash bread this weekend with squash, buckwheat and flax and will post it later this week.. baked goods must be in the air these days! One of my first gluten-free recipes! Wow! My kids would love those muffins.